Through buses and subways, mass transportation systems provide many travel conveniences and safety benefits for people living in large cities. Unfortunately, Boston mass transit accidents can also occur and, in such instances, victims can hold public and private transportation systems liable. At the Law Firm of Jonathan D. Light, P.C., our attorneys know the rules and deadlines that apply to filing lawsuits against mass transit systems. When a passenger suffers injury because of an accident involving the Massachusetts Bay Transit Authority (MBTA), also called the T, the importance of hiring a lawyer cannot be emphasized too greatly. These cases can be very complex and often involve multiple parties, such as state or local government authorities, private companies and insurance carriers. Short filing deadlines exist when bringing a case against government entities, and you can expect that any of these parties have legal counsel with extensive experience defending them against accident claims. Having an experienced lawyer at your side can prove crucial for obtaining adequate compensation. A law firm experienced in handling these types of cases has access to the necessary resources for bringing a case. Prevailing in a settlement or courtroom trial sometimes requires accident reconstruction to show how other parties were negligent and how the negligence caused the accident. Experienced lawyers know how to deal with strategies used by insurance companies. A common tactic is to persuade you to settle, despite the fact that proposed compensation is inadequate to cover injury expenses. A seasoned lawyer is adept at estimating damages, which can be considerable, especially when you suffer from multiple injuries. Our firm also represents surviving family members in wrongful deaths caused by mass transportation accidents. 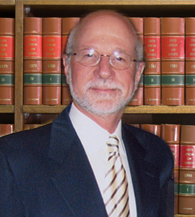 Jonathan Light has excellent credentials as a lawyer and more than three decades of experience. He has handled thousands of accident and injury cases and recovered millions of dollars on behalf of his clients. He handled one case involving the MBTA where the client suffered injury when another vehicle struck the bus and she was thrown from her seat. As a result of the accident, she developed fibromyalgia and our firm obtained a $340,000 settlement on her behalf.